Merriam Music | Pilchner Schoustal International Inc. When Allan Merriam committed himself to creating a production and performance environment for the students at Merriam School of Music, it was the same approach he’s taken over his long and innovative career – no compromise! Long heralded as a visionary in the development of teaching curriculum for musical education that ranges from introductory students to university graduates with professional level aptitude and beyond; MS of M supports private student lessons for all disciplines, ages, skills, styles and instruments. 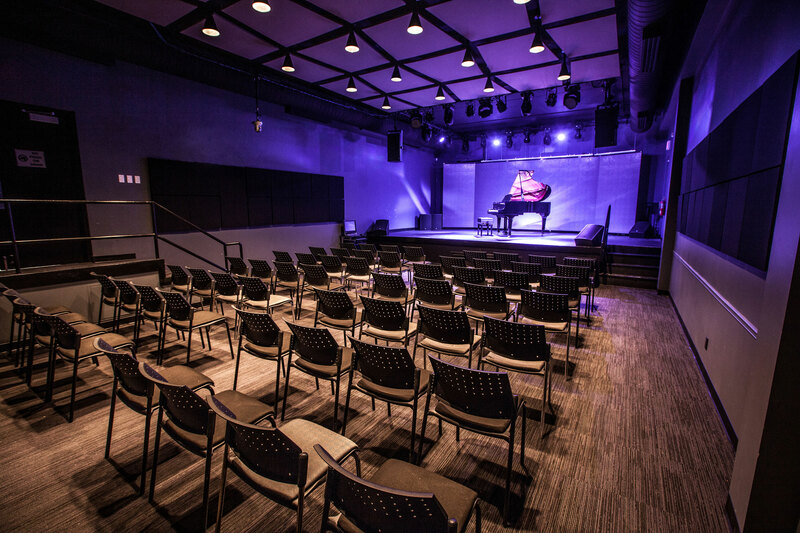 His vision for their new production and performance facilities lead him to seek out the services of Pilchner-Schoustal International Inc.
PSII was commissioned to design a completely integrated live performance environment coupled with a professional level recording studio. The 100 seat performance space of 1400 sq. 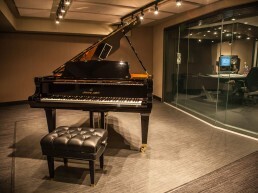 feet is located directly above the 1200 sq foot recording studio space in the basement below. 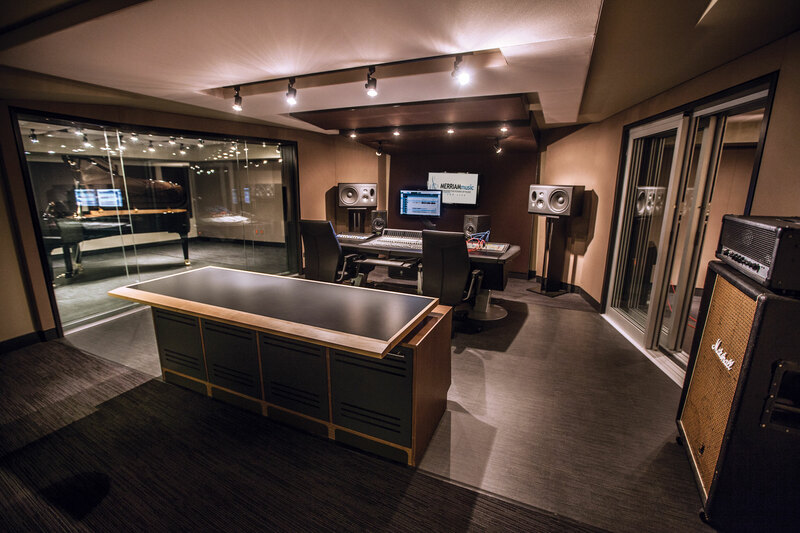 The limited room volume and specular surfaces of these production and performance facilities called upon decades of experience in acoustics making tough rooms sound brilliant. The control room is designed for mid-field monitoring and is 5.1 capable. 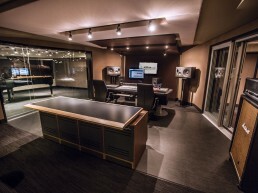 Centered in the plan the control room is flanked by the studio proper to the left and an isolation booth to the right. 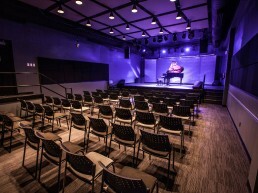 Comprehensive tie lines connect the spaces together so that the control room can mix live broadcast feeds from the performance space, and the performance space can act as a very large studio proper for big sessions. 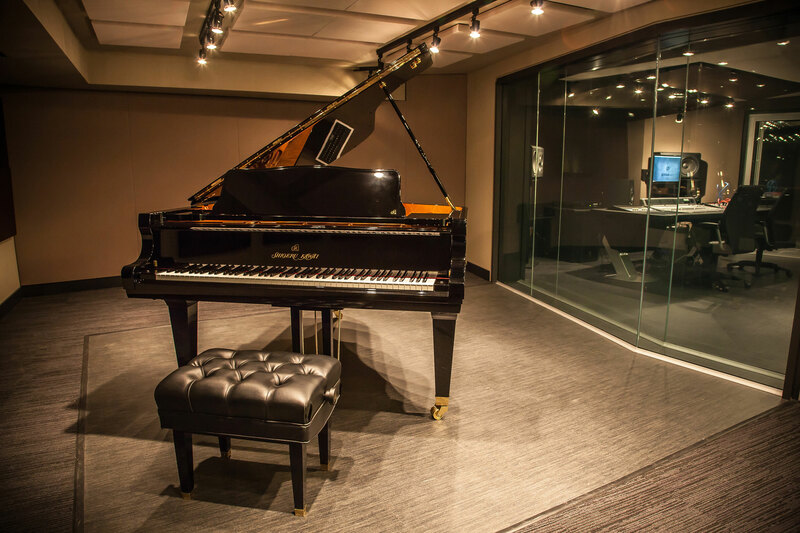 The studio proper and performance hall both feature very high end pianos for which Merriam is well known for.